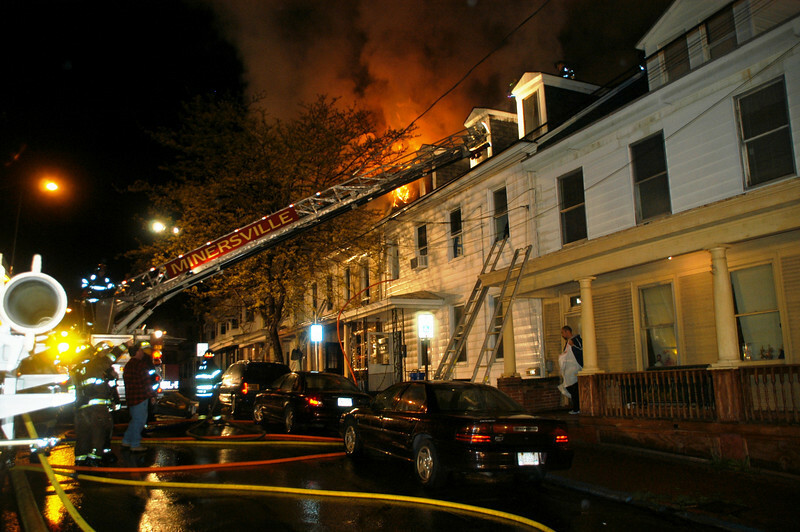 April 28, 2010 – At 18:13 Stations 2 & 4 were dispatched to 1056 Route 61 South (Weiner Iron & Metal) to assist the Pottsville Fire Department on a commercial fire. As units from Stations 2 & 4 along with Chief 720 (Peel) became responding, Pottsville Command advised that an additional water source and extra manpower was needed at the fire scene. Engine 732 arrived on location and laid a 1200ft (5inch) supply line to Pottsville’s E-71. Manpower from E-732 and E-737 was also sent to the burning areas of the structures. Crews assisted with ventilation and overhaul and all Schuylkill Haven units remained on scene for approximately 3 hours until released by Pottsville Command around 20:56hrs. MLK Photos!! April 27, 2010- At 18:06 stations 1 & 2 were dispatched to the area of 1 West Second Mountain Road, North Manheim Twp, for a motor vehicle accident with injuries. However, as Chief 720, Rescue 727 and Engine 733 went responding, SCCC advised them that the vehicle had possible fled the scene. Chief Peel had the incoming units come in under caution until he investigated the situation. As he arrived, he confirmed that the car was AWOL, and he placed himself and all Schuylkill Haven units available. April 27, 2010- At 15:55 Duty Chief 720 (Peel) had the Schuylkill Hose dispatched to assist him at 12 East Williams Street (Schuylkill Haven Boro) for a special assignment. Once Engine 733 arrived on scene they kindly removed an animal that was stuck in a tree. Time out was about 10 minutes. April 23, 2010 – At 3:45 The Schuylkill Haven Fire Department R.I.T. was dispatched to 319 N. Front Street for a working structure fire. As Engine 733 became en-route they were advised of a working house fire involving multiple structures. Crews arrived on location and were quickly put to work by Minersville Command (Chief 510) to assist with fire suppression, roof ventilation, and eventually overhaul. Engine 733 and Chief 720 remained on scene for approximately 3 hours. Photos from Coal Region Fire. April 25, 2010 – At 3:05 Stations 2 & 4 were dispatched for any available personnel to 79 N. Berne Street for a medical assist. Personnel arrived on location and assisted EMS with a cardiac arrest. Time out was about 25 minutes. April 23, 2010 – At 3:16 The Schuylkill Haven Fire Department R.I.T. was dispatched to 10 N. Front Street for a working structure fire. Squad 739 and Engine 733 responded along with Chief 724 (Moran). Crews arrived on location and staged at the intersection of Sunbury Street and Front Streets as multiple teams of firefighters were inside the building battling the blaze. Minersville command then requested Haven R.I.T. for manpower to assist with overhaul and fire suppression. 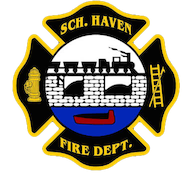 All Schuylkill Haven units remained on scene for approximately 6 hours until the fire was completely extinguished. MLK Photos. At 17:31 Stations 2 & 4 were dispatched to 28 Schumacher Avenue in the borough for a Carbon Monoxide Investigation. As crews began to investigate they were met with high levels of CO on the first floor and immediately began to ventilate the building with positive pressure fans. Chief 724 (Moran) and all Schuylkill Haven units remained on scene until the source of the CO was determined. Time out was about 1 hour. April 19, 2010 – At 18:01 Stations 1 & 2 were dispatched to 625 East Main Street, the Schuylkill Haven Area High School to set up a Landing Zone for incoming Life Flight 5. Just as units began to respond county was advised of congestion in the high school parking lot and redirected all units to University Drive and Route 61, North Manheim Twp. the “White Church”. The LZ was quickly established and apparatus remained on scene for about a half hour until “the bird” took flight. April 18, 2010 – At 17:34 Stations 2 & 4 were dispatched to the area of 490 Route 61 South (North Manheim Twp.) for a motor vehicle accident with no injuries and fluids down on the roadway. Chief 730 (Reed) arrived on location and advised all incoming units of a two vehicle MVA with fluids down in the parking lot of Renningers Market. Chief 730 held the call to Station 2 and personnel applied floor dry around the vehicles and swept up the roadway. Crews remained on scene for approximately 45 minutes until PSP and the tow company arrived.